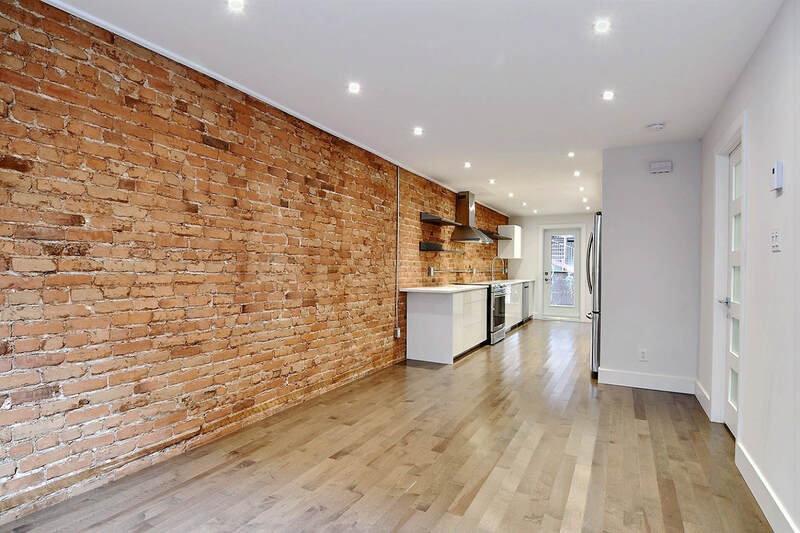 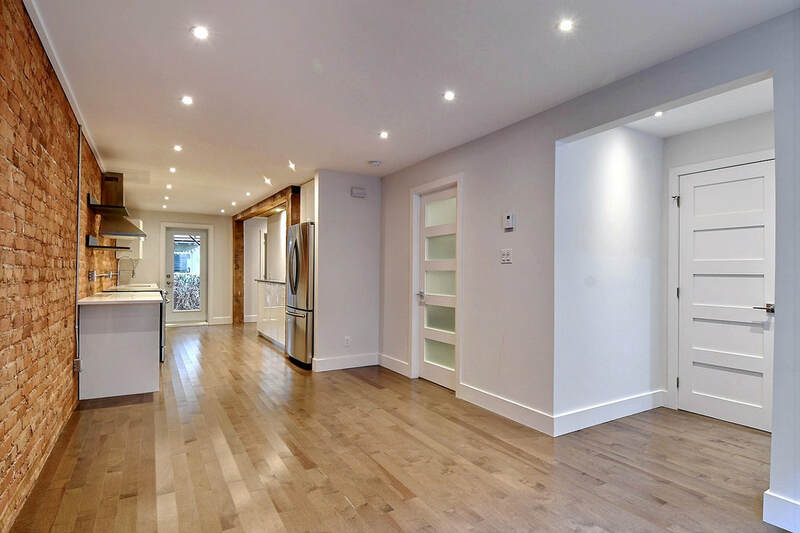 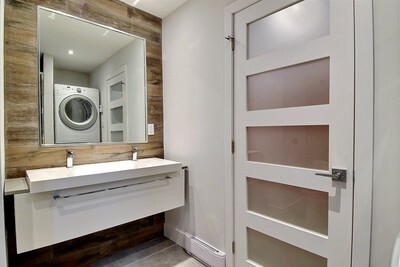 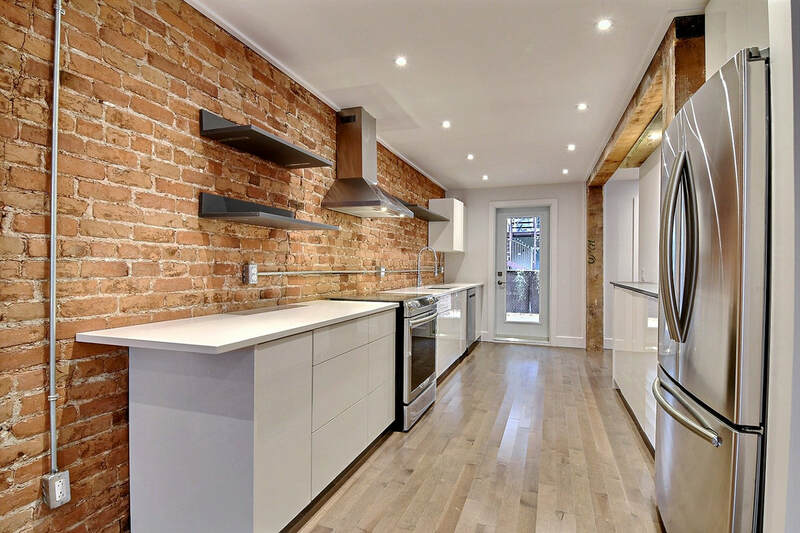 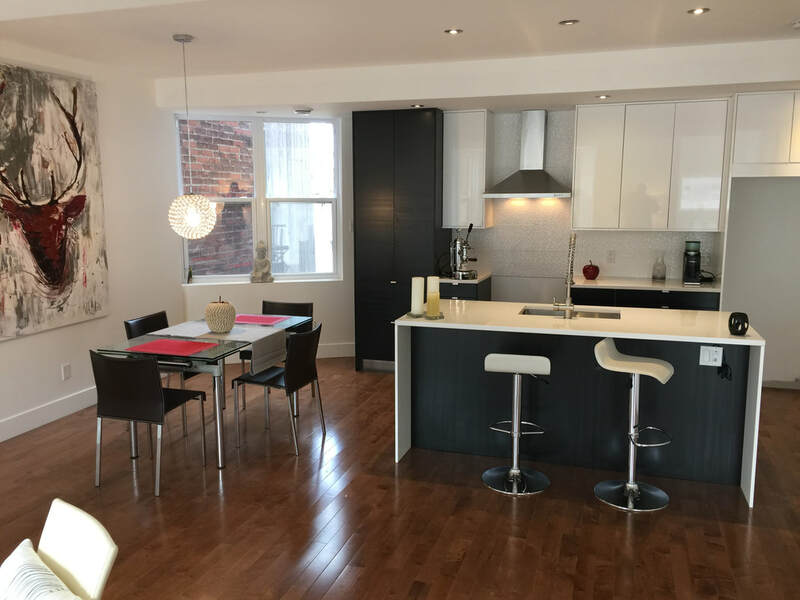 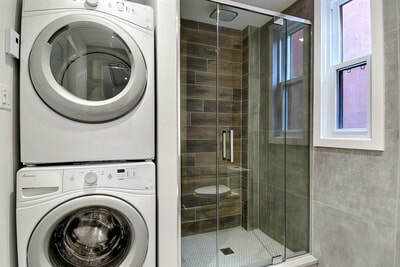 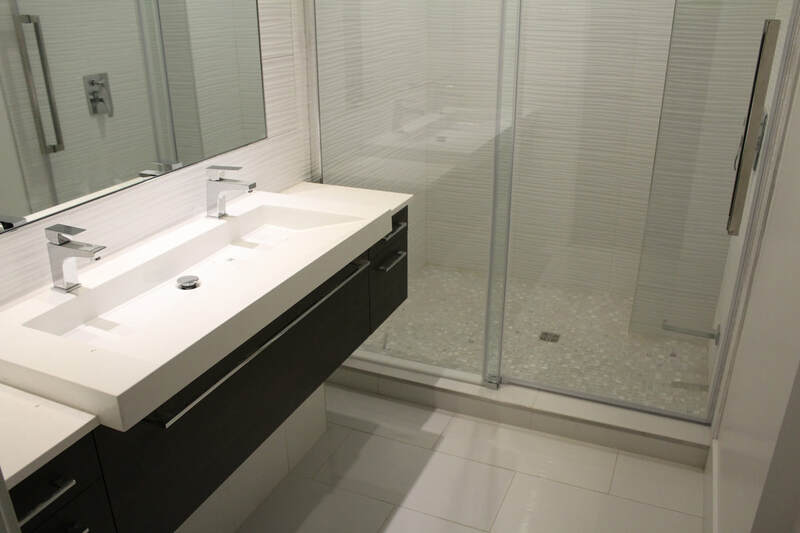 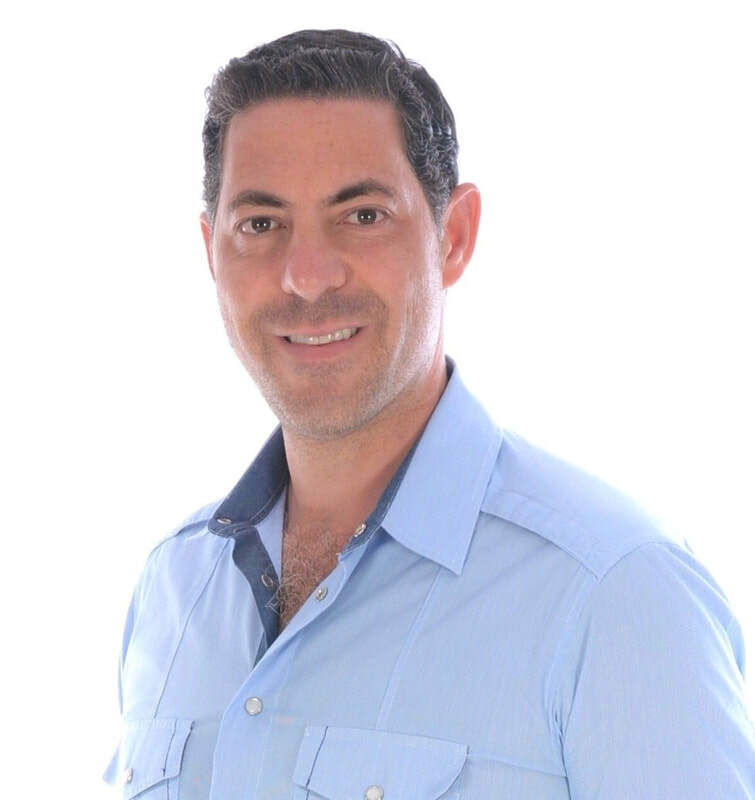 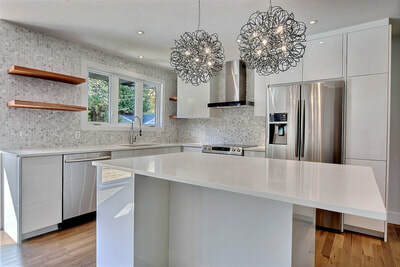 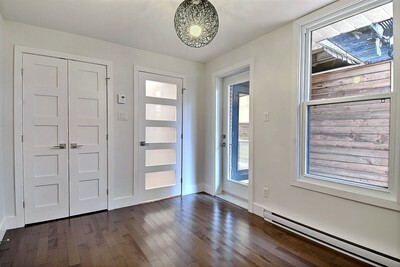 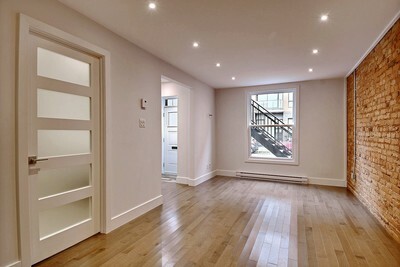 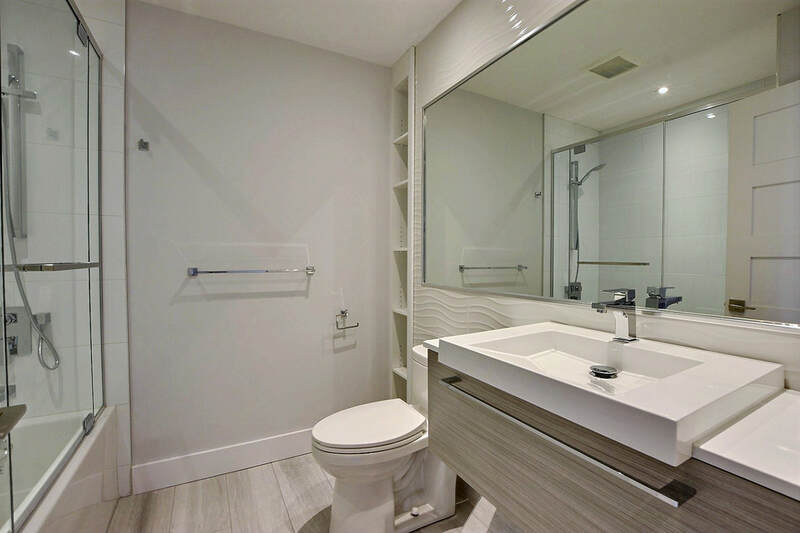 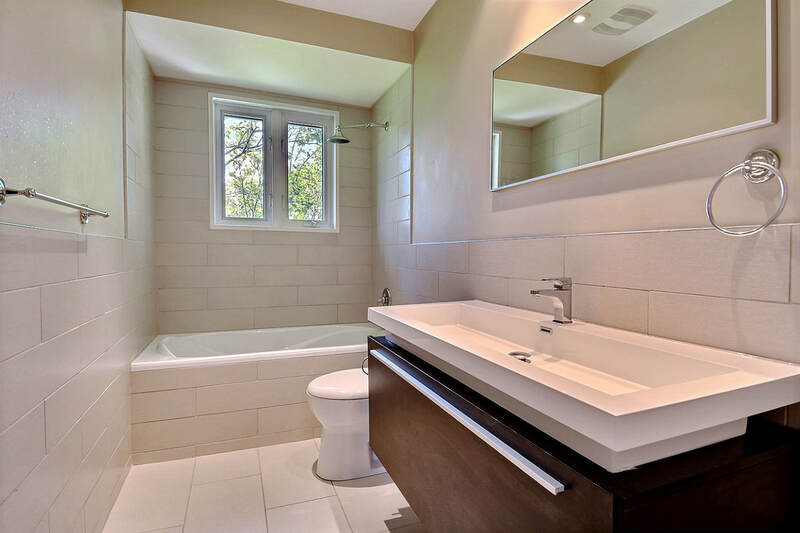 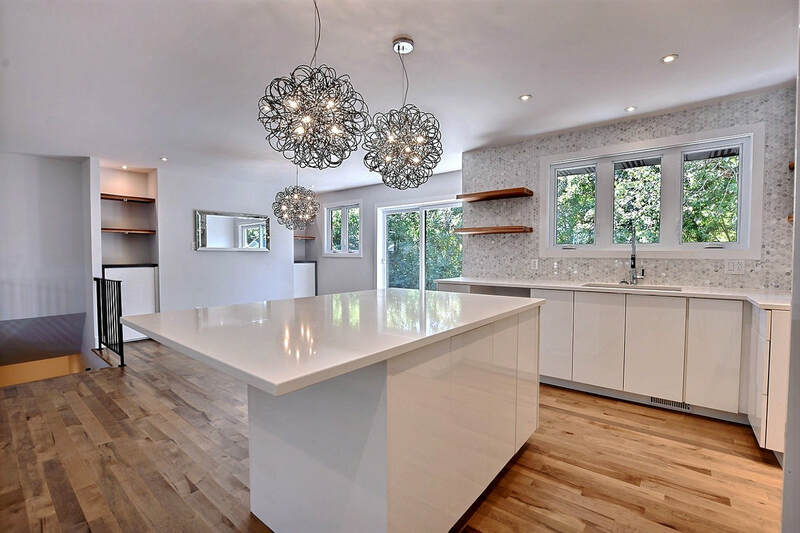 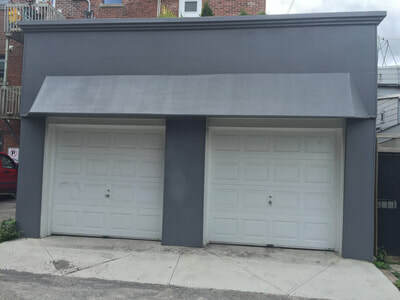 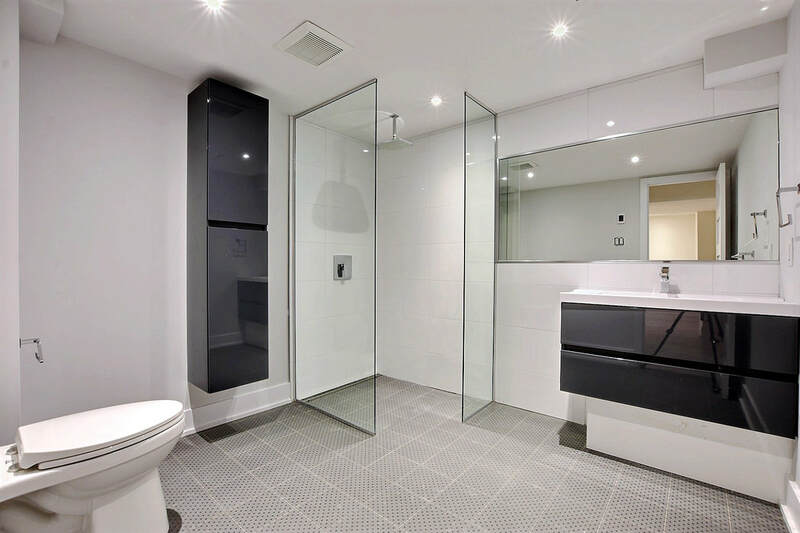 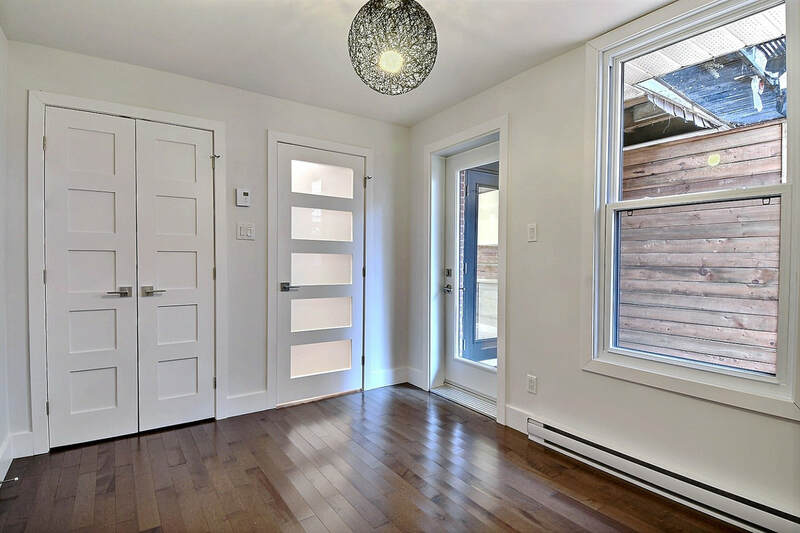 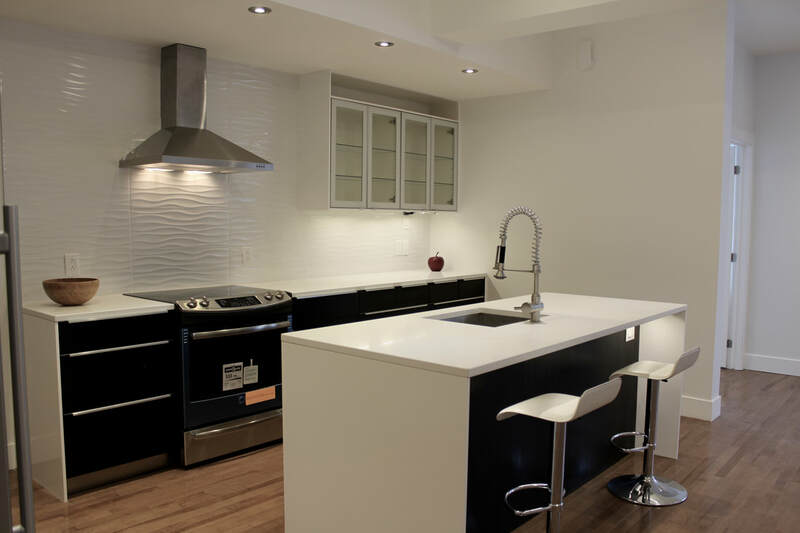 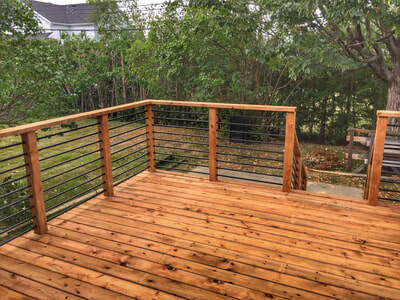 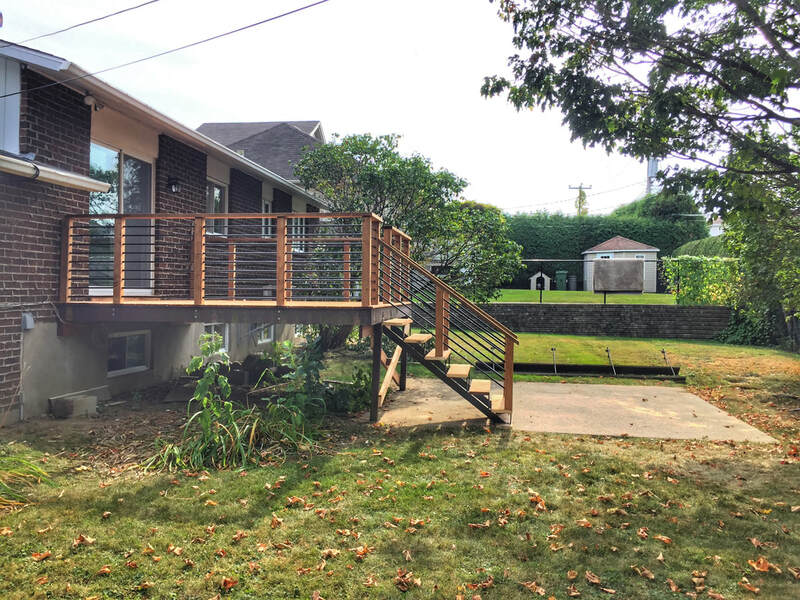 Developpement Le Boulevard Inc. is a Montréal based company that specializes in restoring and renovating older outdated properties in the Greater Montréal Area to high-end rentals. 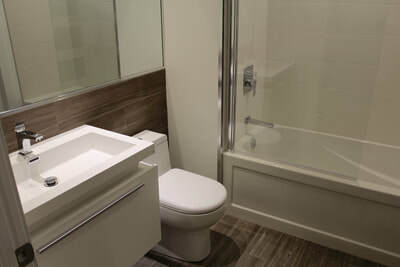 The company's success is due to the attention to detail. 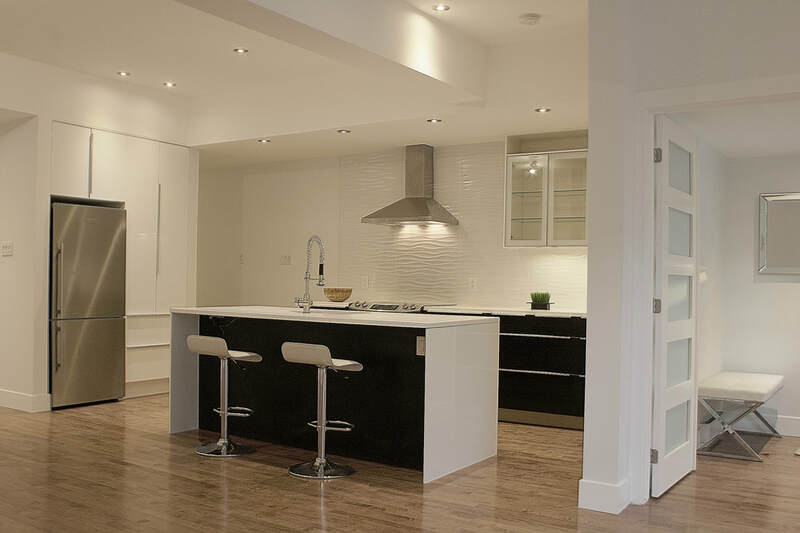 We pride ourselves in developing and renting homes we would live in. 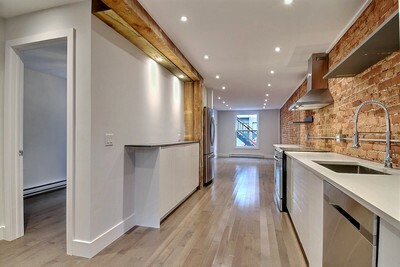 '1095-1105 Amherst' Modern open concept living in the heart of the Village. '382 Frontenac' Modern open concept living in the heart of the West Island. 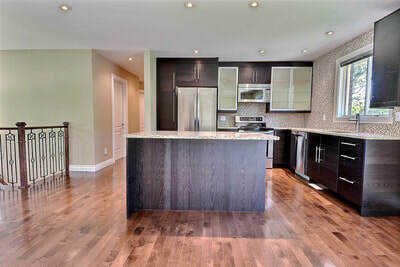 Drive up to this totally renovated and professionally designed open concept bungalow in sought after Fairview area of Dollard. 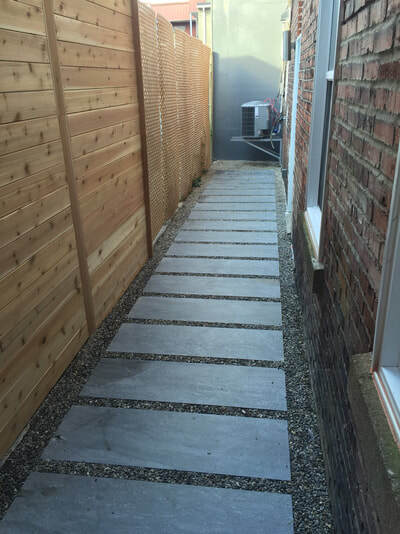 Grey and black unistone entrance. 2 steps lead you to open concept living room, dining room and kitchen. 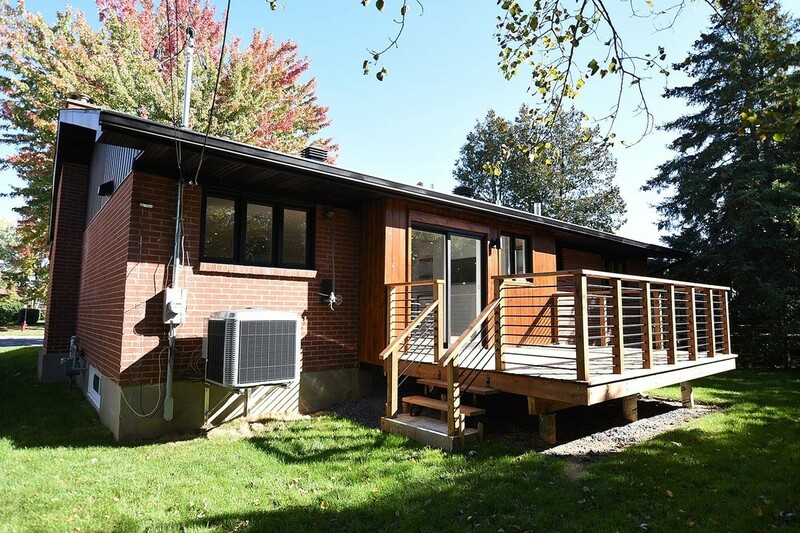 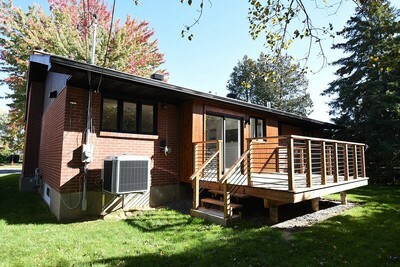 3+1 bedroom bungalow with 3 full bathrooms featuring heated floors in bathrooms, LED pot lights throughout, Quartz counters and custom built shelving and cabinets. 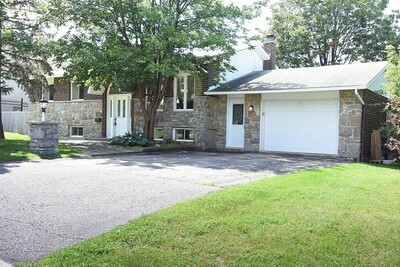 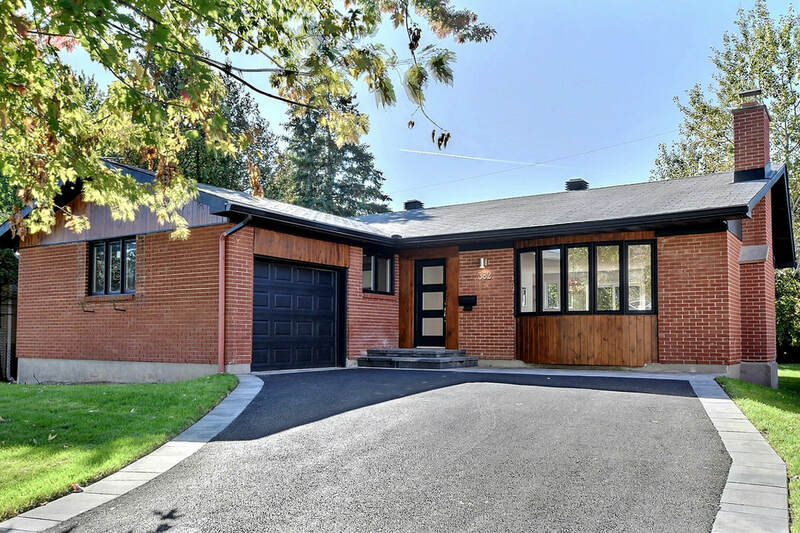 '4328 Hugo' Stone split entry bungalow . 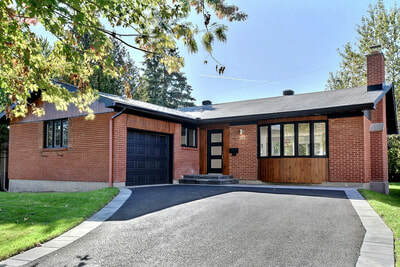 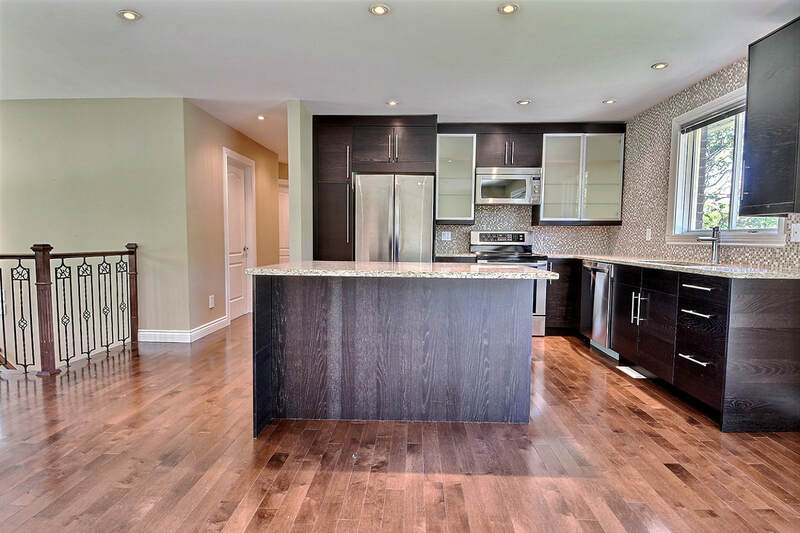 Stunning modern renovated open concept 3+1 split-entry bungalow in desirable area of Pierrefonds across from church. 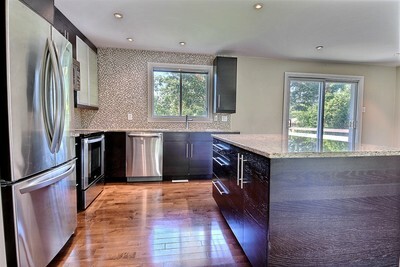 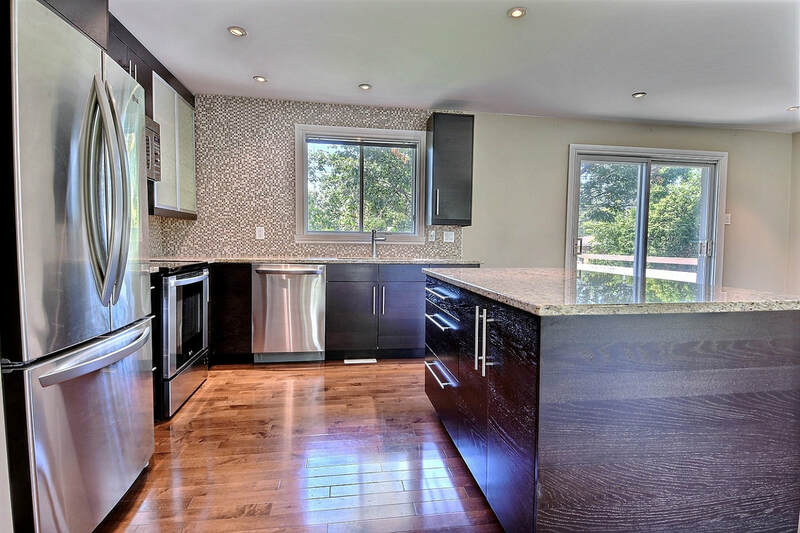 Dark stained wood kitchen overlooking living room and dining room with Centre Island and granite counters. 'Le 5813 to 5817 Saint-Urbain' sophisticated Urban living set in the heart of Mile-End in the trendy Plateau. Condos fully renovated. 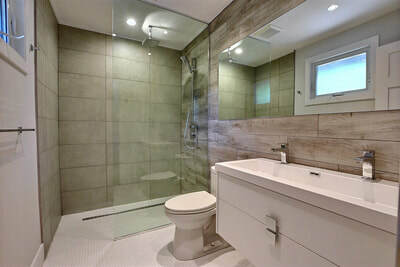 Modern and open concept 2 bedroom with 2 connecting ensuite bathrooms. 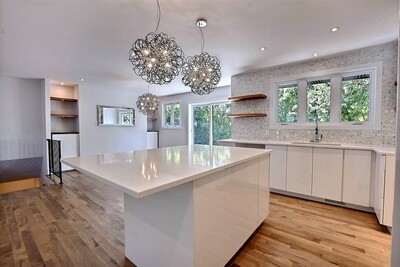 Kitchens with Quartz counters and Island. 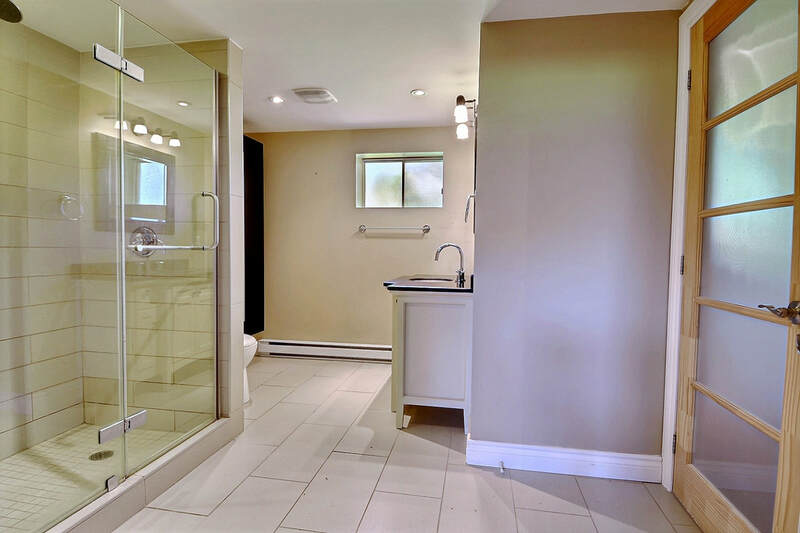 Central heating and central air-conditioning. 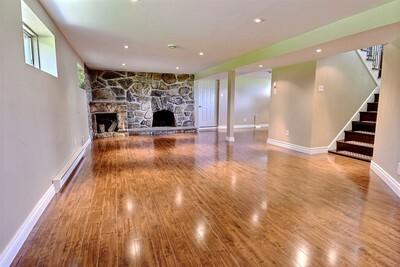 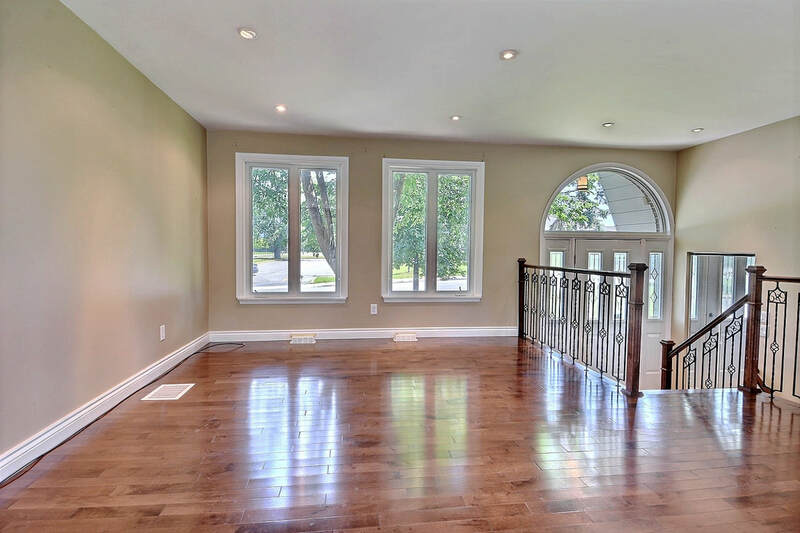 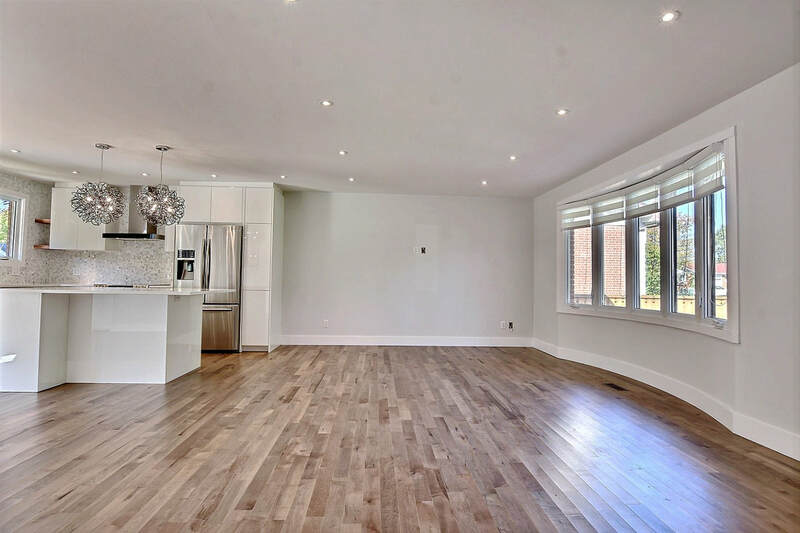 High ceiling of 9½ ft. 30+ LED pot lights on dimmers and ¾" hardwood stained Canadian maple floors throughout. 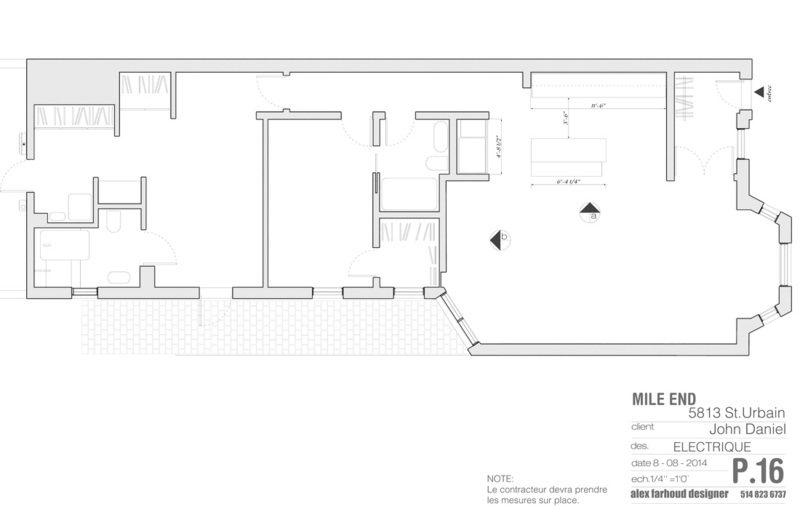 And most importantly sound proofed floors and ceiling structure. 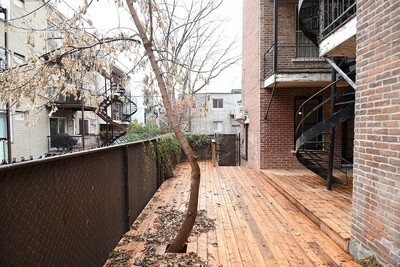 Le 5813 Saint-Urbain is a ground floor condo with rare indoor garage with direct access from the garage to the condo. It features a private terrace with access from the dining room and master bedroom. 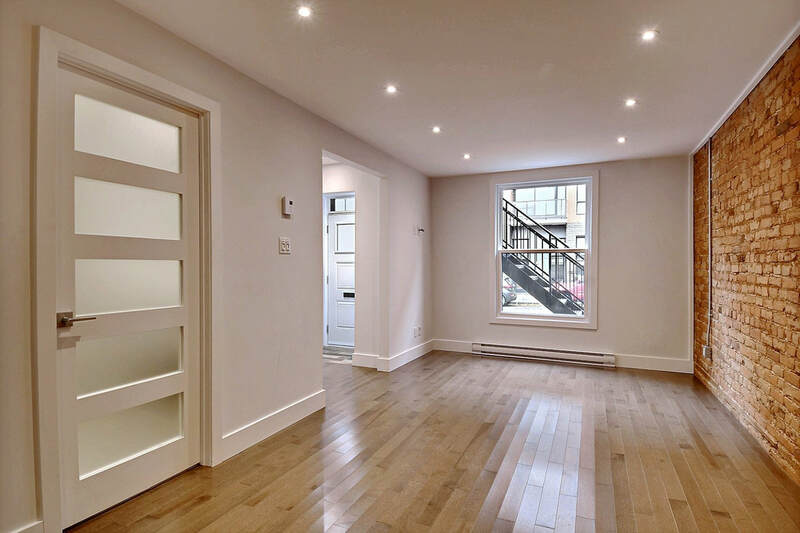 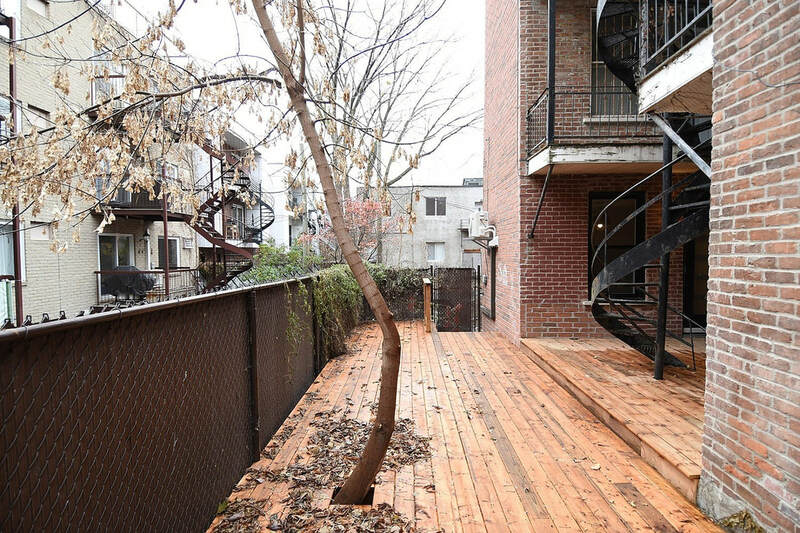 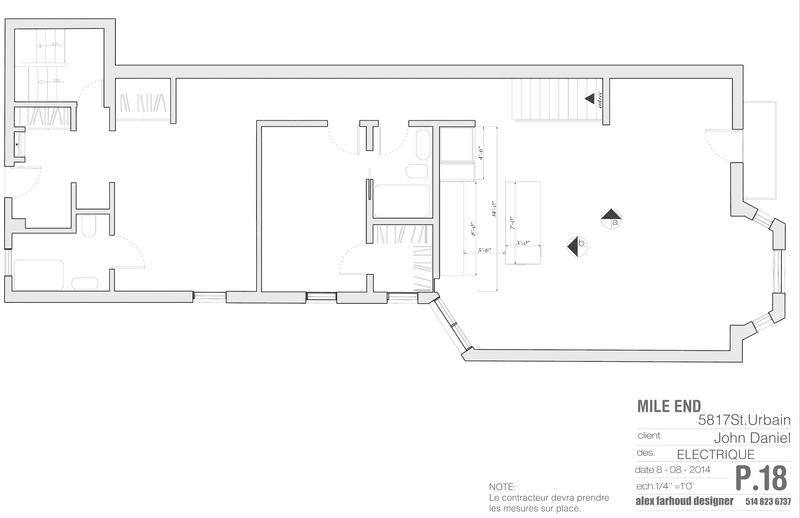 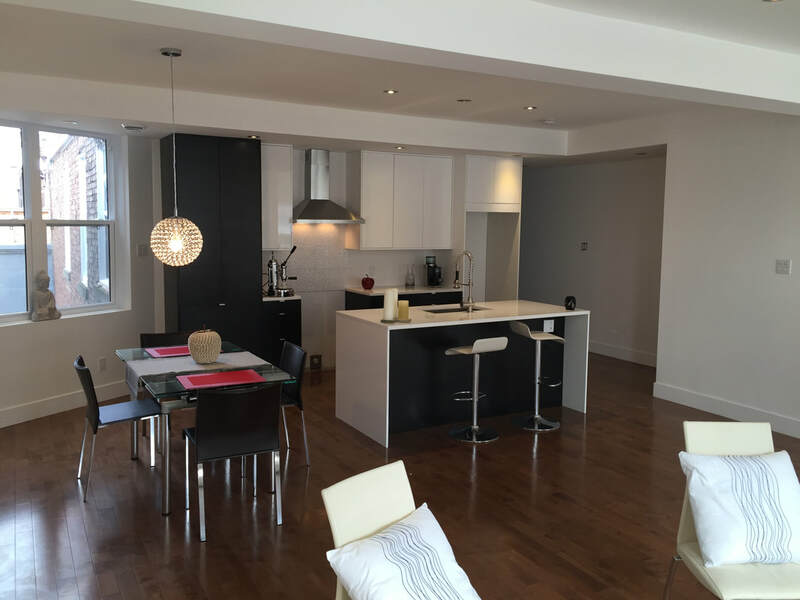 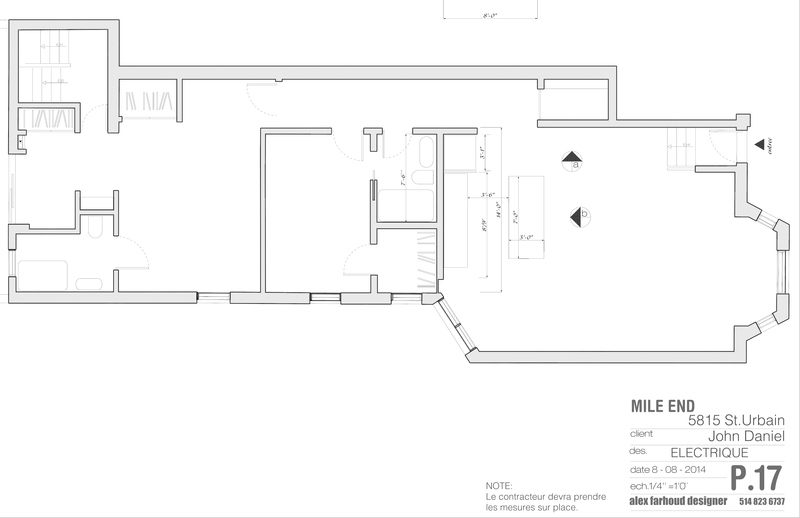 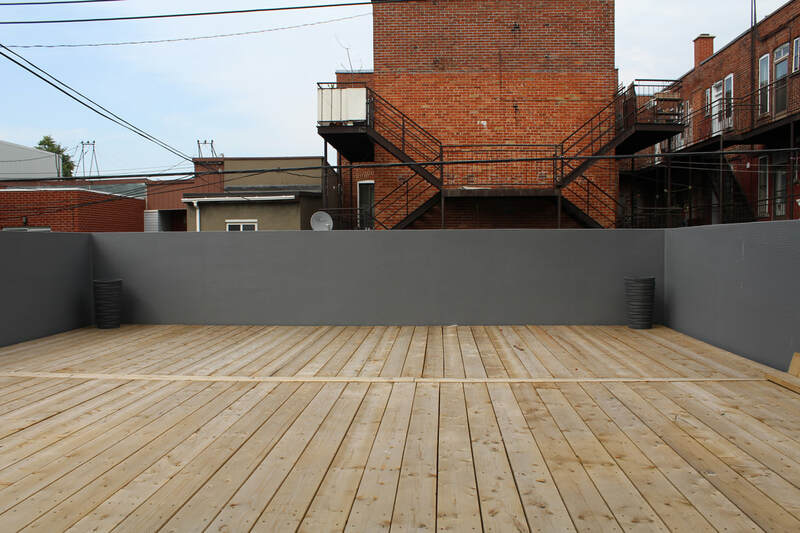 Le 5817 Saint-Urbain is the 2nd floor condo with a 400 sq. 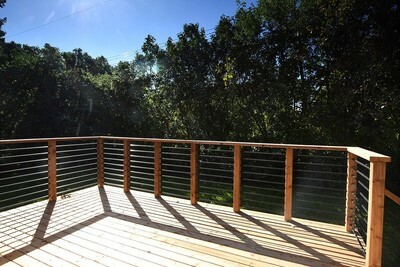 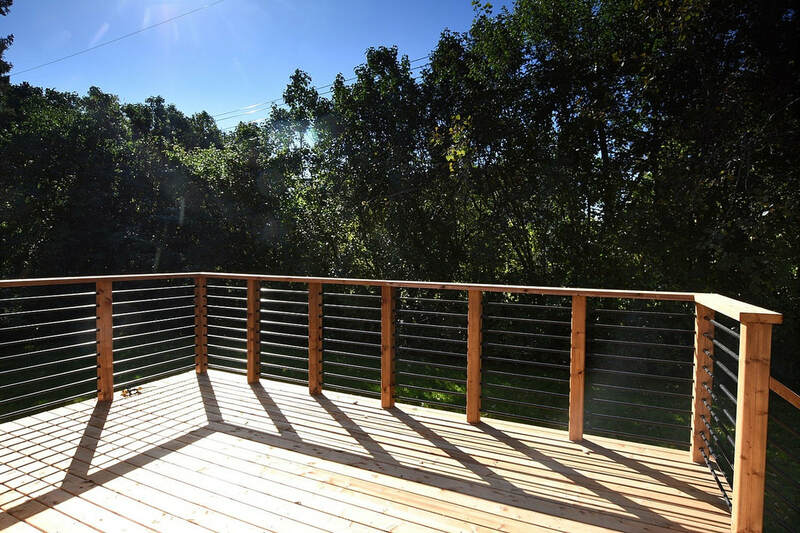 ft. private terrace that will impress you with its size.